King Riku and Violet remember the death of Scarlett. Diamante cruelty is on display laughing at Scarlett’s death. Tank recalls trying to restrain Violet from retaliating. Meanwhile, back at the plateau with Diamante falling back upon “the grave of Scarlett”. He seems to have been knocked him out. Kyros tells Robin that “he is in her debt”, for protecting his daughter. Robin is clearly injured from the falling spikes. Rebecca and Kyros sit by her mothers grave, with tears in her eyes. Violet reports to others that Diamante “has now been defeated and that Kyros, Rebecca, and Robin are all safe”. The people of Dressrosa are surprised that the previously though invincible Donquixote family are, being defeated. Violet confirms who has been defeated by Luffy and his allies, stating that “Bellamy, Pica, Trebol, and Doflamingo” remain. Pica begins using his Devil Fruit abilities to create spikes. He appears above the Flower Field and chastises Diamante for losing to Kyros. Pica then asks Kyros and Rebecca, “what exactly the former king Riku is to them”. Kyros responds that “he is family as well as his savior when he was a monster and that the country is hoping for the day king Riku takes up his thrown again”. Pica disappears into the ground. At level 2 Zoro becomes frustrated looking for Pica. However, Pica begins to attack the injured. Pica attempts to crush Baby 5, due to her betrayal. She is saved by Sai, who uses his “Busoshoku haki” to save himself. Zoro becomes enraged with Pica, who uses “Bite Stone”. 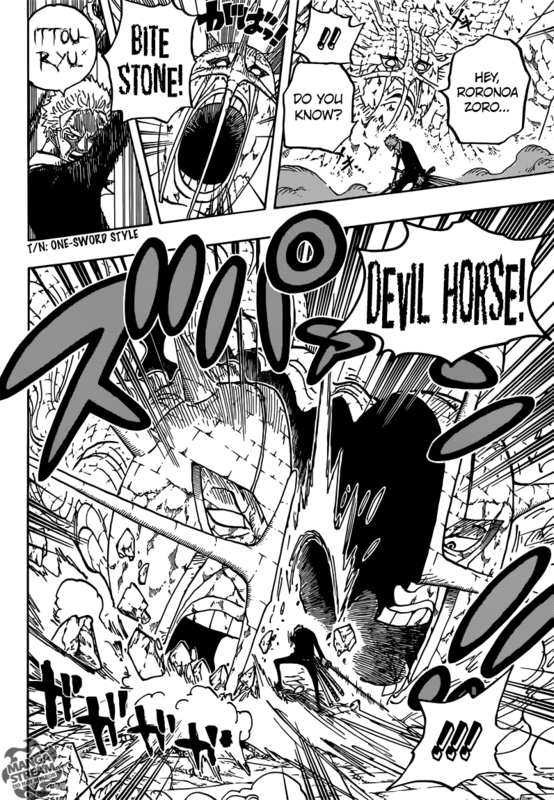 Zoro counters with “Ittouryu: Devil Horse”, Pica seems unfazed. He creates a giant stone version of himself and heads toward King Riku. 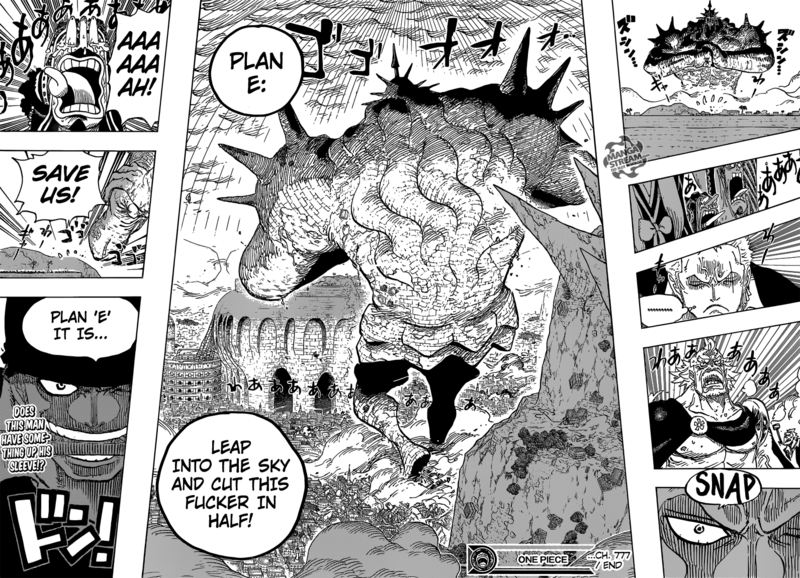 Zoro, rushes to stop Pica, he goes through “5 plans” that stop Pica and prevent the plateau from being destroyed. Plan A: “fire a slash”, but “Pica is already too far away”. Plan B: “jump to their location”, but “it is too far and once Zoro falls it would be the end of him”. Plan C: “yell to those on the plateau”, but “it is too far away”. Plan D: “call them with a den-den mushi to warn them”, but “he has none”. Finally he chooses plan E, to “fly through the sky and cut Pica apart”. We are getting to the final battle, between Luffy’s crew and Donquixote family. 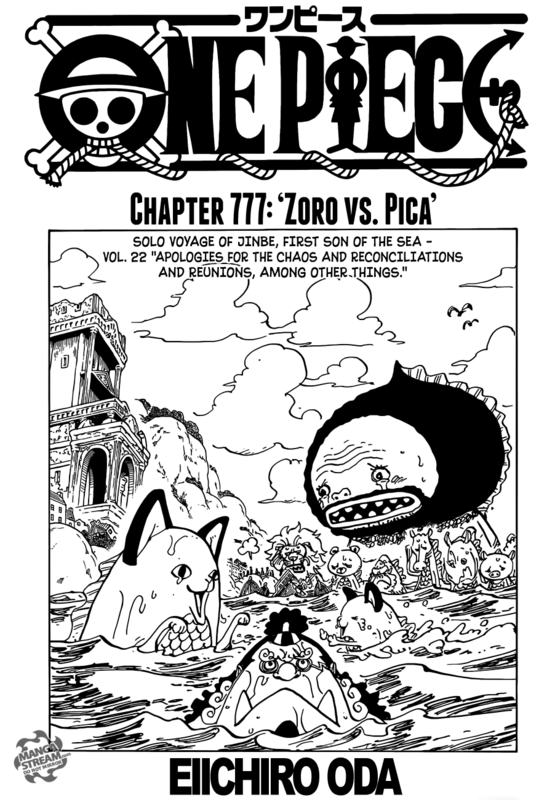 Zoro is the last (with Luffy and Law fighting Trebol, Bellamy and Doflamingo), to face a family member. Pica appears to have the most powerful and effective Devil Fruit ability. However, Zoro has yet to show his true strength. With Pica going on the offensive against King Riku, Zoro has stepped up his game. He’ll save King Riku and defeat Pica but how? Yhwach proclaims that “there is nothing Ichigo and his friends can do to help the Soul King now”. In the Wandenreich city, Bazz-B wonders if Yhwach plans to destroy them all along with the Shinigami. Renji wonders what can be done, Ukitake steps forward and states that he’s going to take the place of the Soul King. Ukitake reveals the “Kamikake” on his back. He draws his sword, asking Mimihagi “to grant him its powers, causing the darkness on his back to rise up and take the form of a large eye”. He reveals that he was a sickly boy destined to die, due to a lung disease. He was saved when his parents begged Mimihagi to save him. He explains that “Mimihagi is something like a rural god to the people of the outer section of Eastern Rukongai and that it protects those who are willing to sacrifice everything except their eyes”. 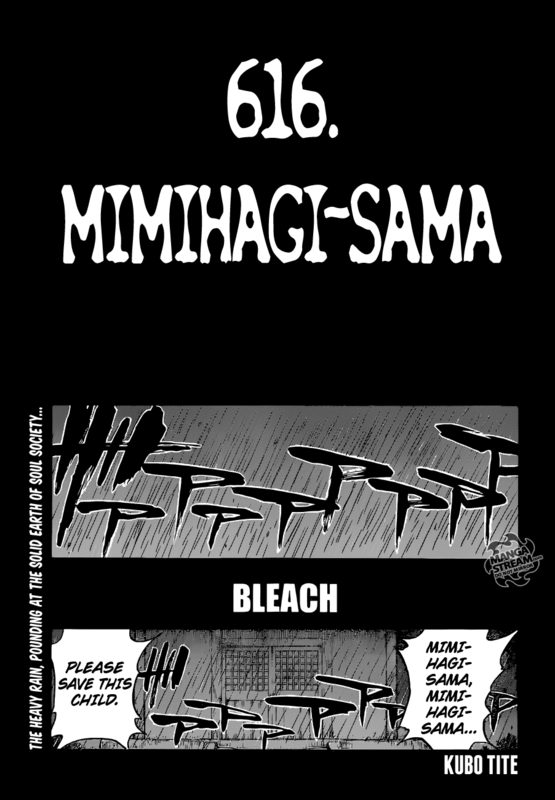 When Ukitake coughs up blood, Rukia calls to him, but he claims that “it is okay because it is simply Mimihagi claiming the rest of his body, which is what the Kamikake is, before revealing that he has become the right hand of the Soul King”. He says its a “honor to die for Gotei”, he screams out in pain as Mimihagi reaches for the sky. Meanwhile, Shunsui is in the underground prison he tells “someone that this is as far as he can go”. Then he asks for Sōsuke Aizen to “answer him”. The return of Aizen was expected, but not completely surprising. Many fans have been predicting this for a while. 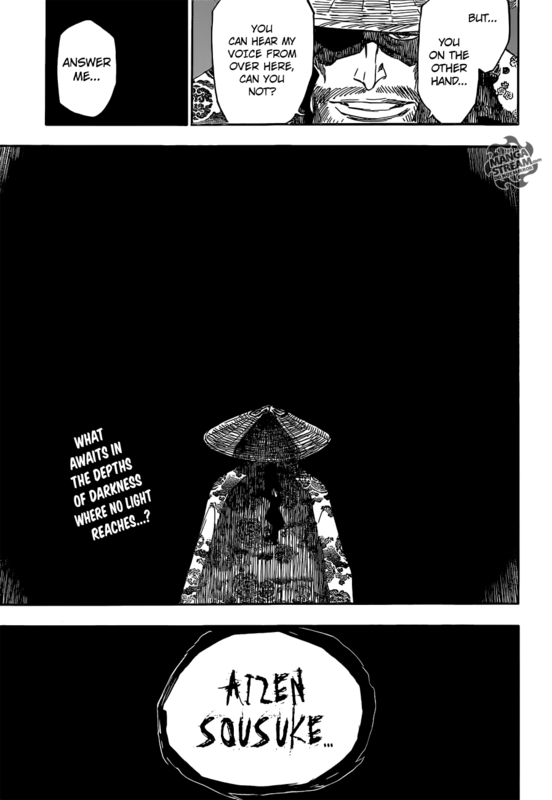 It seems silly to speculate whether Aizen accepts Shunsui’s offer, why would Kubo bother if he just says no, right? Anyway, Ukitake dying isn’t that disappointing. He wasn’t a character that wasn’t particularly familiar to readers. His back story wasn’t surprising, he was always seen as being sickly. So many questions have been created. 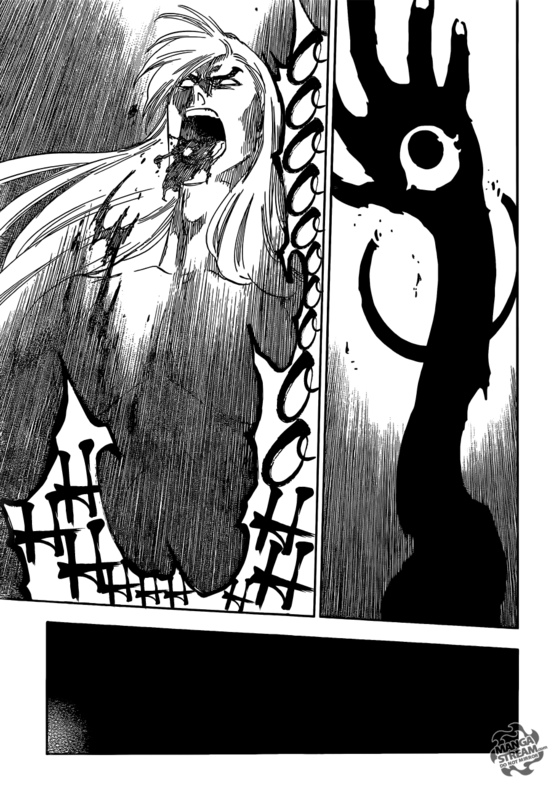 Will we see Aizen’s Bankai? 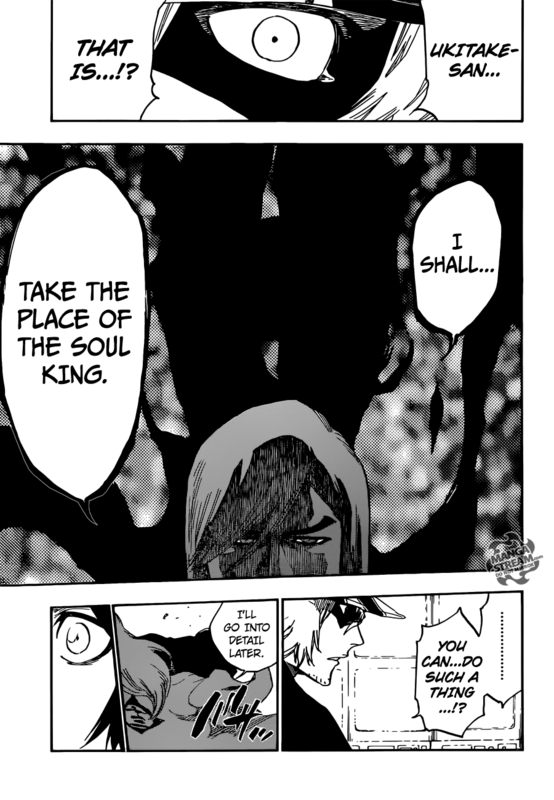 Will Yhwach’s ability to “see everything”, cause him to become victim to Aizen’s Shikai? Will Grimmjow Jaegerjaquez return, too? I don’t know, doesn’t matter I’m excited for the next chapter.